A Dream Profile for the Artist! Home / Collections / A Dream Profile for the Artist! 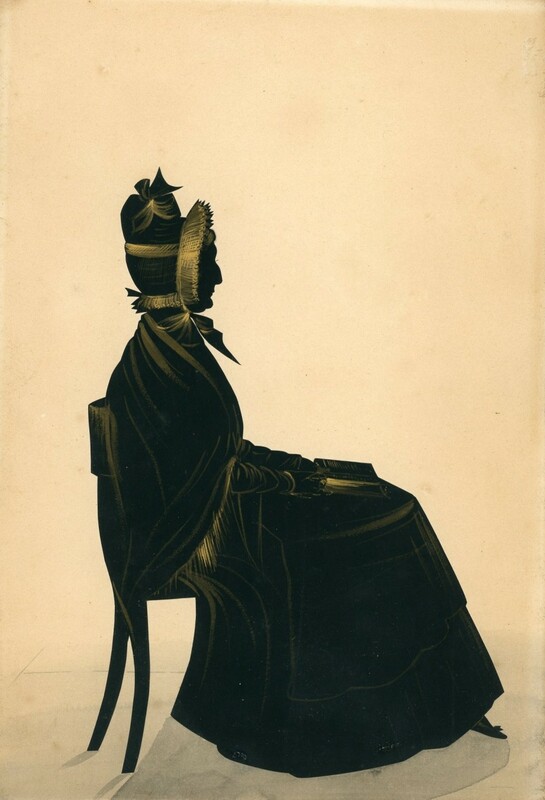 The profilist would surely have enjoyed cutting this silhouette as the lady has such a prominent nose as well as a double chin! 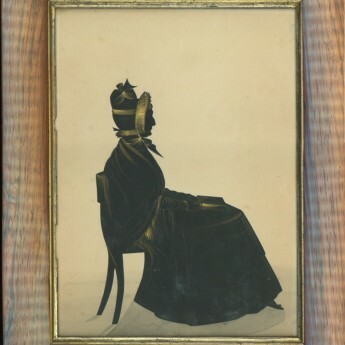 Seated on a dining chair, she is holding a book on her lap. Being a more mature lady, she is wearing an apron over her dress and has a fringed shawl around her shoulders. Her tiny feet are shown in dainty shoes decorated with little bows. But perhaps the most eye-catching element of her attire is her Capote bonnet that has a bavolet (a soft frill round the back of the neck), is tall at the back to accommodate her upswept hair and that is tied under her chin with a ribbon bow. The silhouette is cut out and gilded with a watercolour wash base. Good condition. 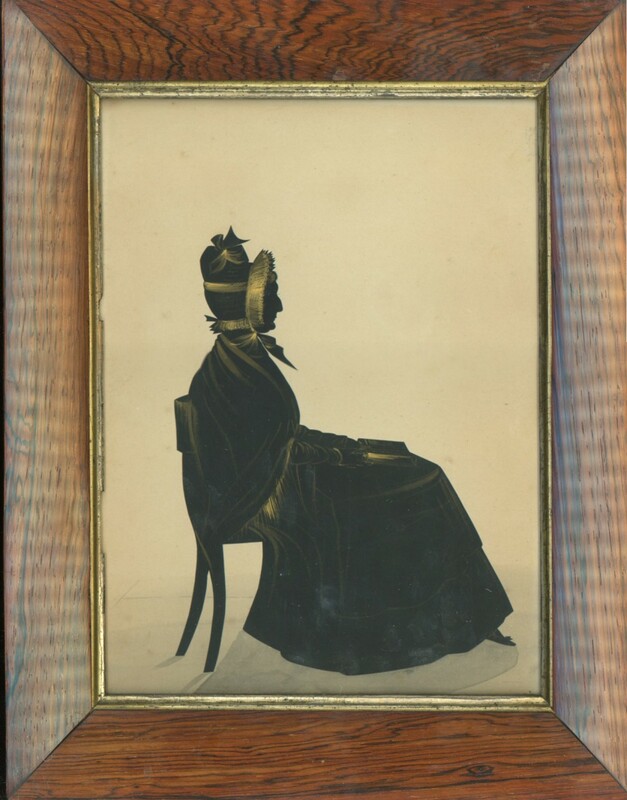 Frame: Housed in a mahogany frame with an old gilt slip. There are two small areas of old loss to the slip on one side but otherwise both the silhouette and the frame are in good condition.